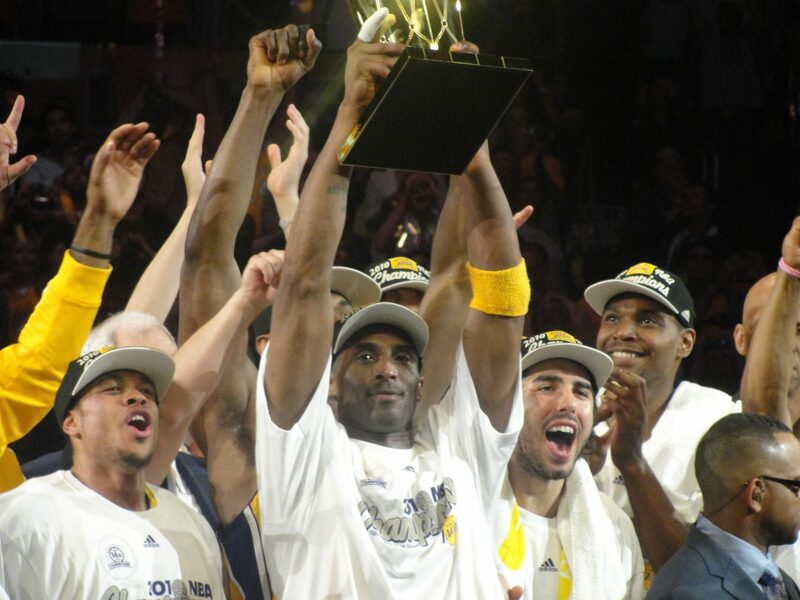 Los Angeles-Game 7 of the NBA Finals turned out to be the Kobe Bryant show. But he had a little help along the way. After shooting a miserable first half, Bryant took over late in the fourth quarter in Game 7 of the NBA Finals and willed the Los Angeles Lakers to an 83-79 win over the Boston Celtics to give the team its second straight championship. It’s LA’s first back-to-back championships since Bryant and Shaquille O’Neal dominated the league with three consecutive titles early in the decade. After the Lakers dismantled the Celtics with a 30-22 fourth quarter advantage, it was clear that Bryant reveled in claiming his fifth NBA title and second Finals MVP award. Bryant, who shot just 6-of-24 from the field, scored 23 points and grabbed 15 rebounds to give the Lakers its 16th NBA title. The Lakers defeated the Celtics four games to three in the best-of-seven series, beating Boston for just the third time out of the 12 tries in a championship series. Besides Bryant, Ron Artest stood tall for the Lakers against the Celtics, scoring 20 points, pulling five rebounds and setting Los Angeles offense in gear. For the Celtics, the game started off right, but ended on a bad note. The game turned into a waltz instead of a track meet, which didn’t bode well for the Lakers in the first half. But Artest’s defense on Paul Pierce and some quick scoring helped settled the Lakers. Signed to a contract in the offeseason to bring some toughness to the team, Artest rewarded the Lakers for their show of faith in him by being the star of the night on the biggest stage. The Boston Celtics took a 40-34 lead into halftime, thanks in part to their suffocating defense and the shooting of Pierce. Pierce scored 11 points through the first two quarter, and the Celtics held Lakers’ stars Bryant and Gasol in check, limiting the duo to a combined 6-of-26 field goal shooting. As a team, the Lakers shot just 26% for the half. The Celtics came in the first quarter more determined to play the type of defense they’re used to applying on opponents. They suffocated the Bryant and the rest of the Lakers offense, holding Los Angeles to just 14 points in the period. Whenever Bryant touched the ball there were two to three defenders draped on him, forcing last year’s Finals MVP into a bad shooting quarter. Bryant threw up a lot of wild shots as a result of the Celtics relentless defense. Bryant’s 1-for-7 shooting in the quarter highlighted the Lakers 22% field goal shooting in the quarter as the Celtics built a 23-14 lead. At the end of the three quarters, the Celtics led 57-53. With 9:09 remaining in the fourth quarter, Boston still led by four points, going up 59-55. But then Bryant and the Lakers do what they always do: go on a run and that was pretty much the ballgame. Well, almost. The Lakers won the game in the fourth quarter by connecting on 16 of their 21 free throw attempts in the period. In comparison, the Celtics, playing without starting center Kendrick Perkins, managed to attempt just six free throws in the quarter. With the victory, Bryant, Derek Fisher and coach Phil Jackson collected their fifth league title together. Jackson notched his 11th championship, more than any NBA coach.